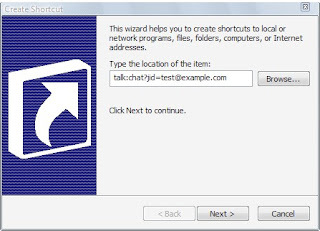 You can add your Google Talk contacts as shortcuts to the Windows desktop. This makes it possible to quickly reach a bunch of important Google Talk contacts faster and more comfortably. Clicking on the desired shortcut will open a chat window with the associated Friend.